We have all heard the stories of Betsy Ross, Mary Ludwig Hays McCauley known as “Molly Pitcher”, and Clara Barton founder of the Red Cross who supported our men and women who wore the military uniform. Although the list can go on forever, I strongly feel that it should not go unnoticed. Often we take so many things for granted in our lives that we forget to pay attention and notice that others are doing just as much if not more and could use our help. America has always been acknowledged to have a spirit of compassion and charity but with the center of attention being focused on all the negative media it is important now more than ever to be still and listen to what God has to say. I spent my Columbus Day sitting quietly on my couch for about 20 minutes being still and tuning out all the noise and for once in a long time, I felt peace, the peace that all will be okay as long as I stay the course. Staying the course is not always easy especially for a military member who is tired and ready to come home. If it were not for the family back home who sends us letters and care packages, we might lose our mind and sense of morale with all the chaos that we encounter. Nonetheless, we stay the course which can also be said for the family and friends back home. Family, friends, and the community remind us every day what we are fighting for. Every time we get a letter or package we get excited. When the mail run comes in we look to see if our name is called or if there is a package on the table for us. It is not easy being away from home, from all the ones you love and we constantly wonder if they are okay. The family and friends back home are our life and soul and their safety is more important than anything else which brings me back to Betsy Ross and the many other ladies and organizations that have taken care of our families while we were in harms way. I had the pleasure of meeting three lovely ladies on my campaign trail; Tracy Laporte, Joyce Leidig, and Babs Shields. Each of these ladies has a strong passion to continue to carry the Torch of Liberty by ensuring that the military men and women who are serving our country do not go unnoticed. They have sustained organizations to bring communities and businesses together to not forget that we have men and women who are not home with their loved ones. They have organized events from concerts, free movie showings, Wall of Heroes, Christmas cards, and care packages to send to the troops as well as to take care of their families who are left behind holding the fort down. They understand because they have loved ones who were or are in harms way. Many people say they support the troops but in the military, actions speak louder than words. Because of this, this is why I have chosen to write this month about them. Yes we have an election in November and one of the most precious way you could show your support is by voting. We also want you to take care of our family back home by spending time with them and talking to them, giving a spouse some free time from being both mother and father, or helping them when the car breaks down or the frig goes out because trust me, there is always something that breaks when the member is deployed. You can call it Murphy’s Law. Tracy, Joyce, and Babs are doing their American moral duty to support our troops and their families. Tracy has started an organization; Military Moms of Texas and is extremely active in taking care of the families with an event on November; Green Santa. Joyce and Babs co-chair the Brown County Military Family and Support Group which focuses on honoring our troops and veterans with a Wall of Heroes in our Courthouse and Christmas care packages. These iron-willed ladies symbolize what I refer to as the Ladies of Liberty. I am convinced that there are many more people out there who are doing the same and like these ladies they could use your support in supporting those who provide us the freedom and prosperity that we have taken for granted. I give them my sincerest thanks and I am positive that the many women and men who are deployed and the veterans who have served give their thanks also. So remember, VOTE and support our troops and their families! I have attached their information below in case you wanted to lend a hand or write a note. God Bless You and God Bless Texas! 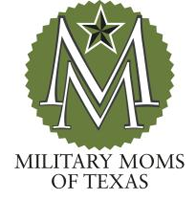 The Military Moms of Texas website is cafepress.com/MilitaryMomsTX and the Brown County Military Family Support Group can contact Joyce at 325-784-5014 or Babs Shield at 325-643-1259 if you would like to volunteer. Feel free to find someone in your local area but remember stay the course.